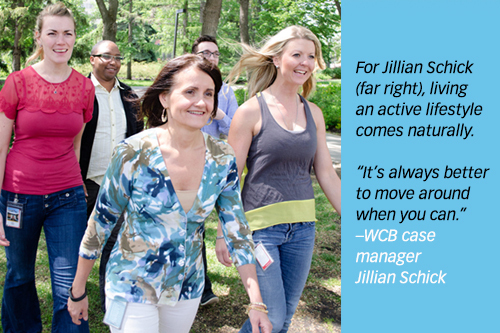 WCB case manager Jillian Schick has what she calls “old-woman back,” so she knows firsthand the importance of working through the discomfort by staying active. She mountain bikes. She hikes. She snowboards. She lifts weights. She cross-country skis. “I’m the poster child for doing things that are hard on my body and causing it problems,” she says, smiling ruefully. Really, though, she wouldn’t have it any other way. For her, leading an active life is second nature, and has emotional and psychological benefits that far outweigh any physical discomfort. She knows, too, that inactivity will make the tight muscles in her back even tighter—and more painful. Serious injury among those who experience back pain is relatively rare. The majority of people are still able to participate in low-impact exercise without further causing strain. 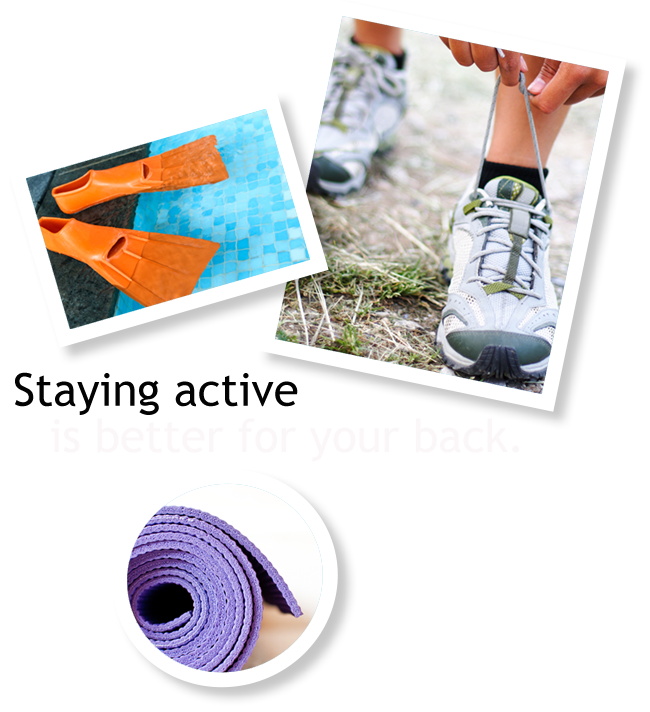 Swimming, riding an exercise bike, and yoga are all good examples of that. And while doctors once prescribed bed rest and pharmaceutical drugs to resolve back pain, today, activity is believed to be the key to getting better, faster. “It’s always better to move around when you can,” she says. She finds relief in periodic massages, and will see a chiropractor if she thinks it’s necessary. At work, she stretches often, and takes full advantage of her sit-stand workstation. She also finds relief leaning on a strategically-placed tennis ball pressed against the small of her back. The hands-down best therapy, though—both mentally and physically—is a stroll around the legislature grounds with colleagues on a sunny day. Talk with your doctor, chiropractor or physiotherapist about what kinds of activities are safe for you to help you manage back pain.